Computer science student Brandon Mathis studied foamed cement with the intent of providing the oil and gas industry with information that can be used to produce better cements and in rewriting recommended practices. Foamed cement has the potential of improving oil drilling practices because it may minimize blowouts in wellbores and decrease the amount of oil and natural gas released into the environment. The low-density cement with unique characteristics is used heavily in the Gulf of Mexico. 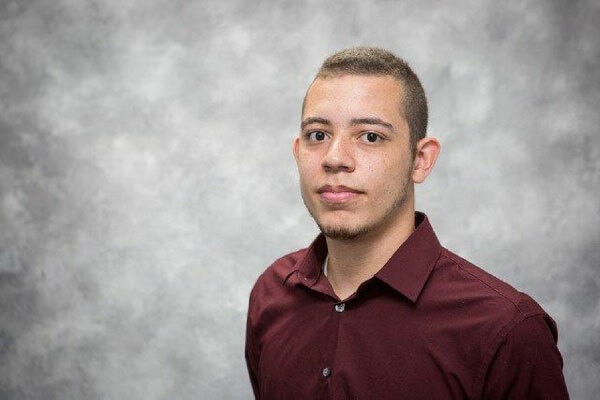 To better understand the properties of foamed cement under various conditions, computer science student Brandon Mathis spent his summer researching the material at the National Energy Technology Laboratory (NETL) in Pittsburgh, Pennsylvania, as a participant in the U.S. Department of Energy (DOE) Mickey Leland Energy Fellowship (MLEF) Program. With the guidance of his mentor, Eilis Rosenbaum, in the Materials Engineering and Manufacturing Directorate, Mathis examined the size distribution of the bubbles and the effects of flow on the bubble arrangements in the foamed cement. Each of the desirable properties of this low-density cement relies on the spacing and size of the bubbles within the material. His research involved analyzing computerized tomography (CT) images of samples created in a laboratory scale foam cement generator and samples produced and collected from industry cementing equipment. He developed a novel method to segment out the bubbles in the images that could then be characterized for their volume and position in the sample. He also developed a novel analysis approach for indications of clustering or structuring within the sample. The arrangement of the bubbles after flowing in the well play a key role in the structural integrity of the hardened cement because the structuring of the bubbles could lead to bubble coalescence and large voids or channels to form in the cement. Either scenario could be detrimental to the integrity of the cement and counteract its primary purpose. The data garnered from the images are being used as inputs for simulations to determine the effect of flow conditions on the samples. Mathis enjoyed gaining a range of experiences from performing research independently to presenting technical information and interacting with other researchers at NETL. The Fairmont State University senior hopes to obtain a master’s degree in computer science with a focus on computer vision. In the future, he wants to work in a research environment. His participation in the MLEF Program exposed him to numerous potential applications of his degree.